Dublin Community Television is forced to close. | Come Here To Me! « Two 1913 events tomorrow in Dublin. Dublin Community Television is forced to close. It is with great sadness we have learned of the imminent closure of Dublin Community Television (DCTV). Established in 2006, the station has produced quality independent content such as historical documentaries, music programming and more besides. This closure is directly related to a lack of support from the Broadcasting Authority of Ireland. In the past Come Here To Me have actively participated in several DCTV projects, believing that the project was always worthy of support. To mark the upcoming closure of the station, I wanted to post a few videos from the archives of DCTV here which will be of interest to readers. It is with regret that the staff and committee of Dublin Community Television (DCTV) must inform you of the orderly wind down of the station, and the planned cessation of broadcast in February 2014. On 21 October 2013 the Broadcasting Authority of Ireland (BAI) made it known that it would not be funding any of DCTV’s archiving project submissions. Alongside this decision, BAI support for DCTV projects through the Sound & Vision scheme had dropped. Funding for 2012 was seven times higher than the funds received in 2013. DCTV had recognised its dependence on the BAI and tried to generate alternative funding. This year the station secured significant alternative funding. However, the drop in BAI support to less than a sixth of its previous annual average left the station unable to guarantee the ability to meet its obligations in wages, rent and other costs if it continued to operate.This has been a difficult decision, not least because of the belief that the station was approaching a sustainable funding model. 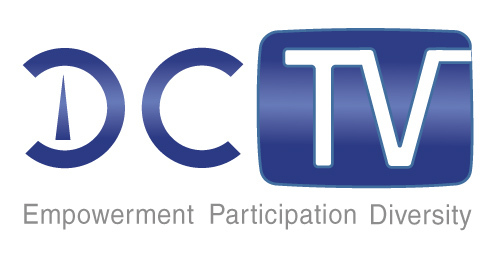 DCTV started broadcasting in 2006. In that time DCTV developed youth shows, history programmes, music, comedy, information services and documentaries. These programmes are archived and will be preserved. DCTV also set up a city centre studio. It is hoped that the studio will continue to support ongoing training for community organisations and youth centres in Dublin. There will be a meeting for the DCTV membership shortly to decide on the winding up of the co-op and other matters. DCTV still has four active television shows in production. There is a plan to complete these projects over the next five months. The co-op will examine how best to preserve the community television production capacity built by DCTV while meeting its obligations to creditors. DCTV will be meeting with all creditors, landlords, show participants and so on to form an orderly wind down which may involve the transfer of contracts and commitments to other bodies. We would like to thank people for their support in this process as we pursue an orderly resolution of the affairs of the co-op. We hope that the skills, productions and networks that DCTV leaves behind after six years will be a fitting legacy. The staff and committee of DCTV thank all of the co-op’s members and collaborators for their support. How big is the funding gap? They have a nice shopfront studio beside Wood Quay which hopefully will now become available to Citizen Journalists. DCtv won’t be missed, except by the paid staff. That mission has long since been superceded by YouTube channels, such as these three great ones. “The dogs may bark but the caravan moves on” – Arabic proverb! As a volunteer who has worked on 4 series of ‘Community of Independents’ I can assure you it’s not just the paid staff who will miss the station. We have had 10-15 people give up their time to put each gig, episode and season together over the last two years with no financial remuneration. The simple joy of seeing your work result in a good looking, well put together, coherent show is payment enough. Our show offers a glimpse into the music scene which no other station offers. This may not seem important if you don’t hold an interest yourself but from the response we’ve received after every episode and season, I know the show will be missed by more than just the people working on it, whether they are a paid member of staff or not. Hopefully the studio is made available to the public in another facet and not wasted. To simply say DCTV won’t be missed is unfair. It could never compete with the major stations (who seem to be the ones receiving all kinds of financial allocations). It will leave a lot of people, young and old, without an outlet for their talent, creativity and potential, and yes, paid members of staff without a job. Let’s not be so flippant about an Irish venture going under! ?